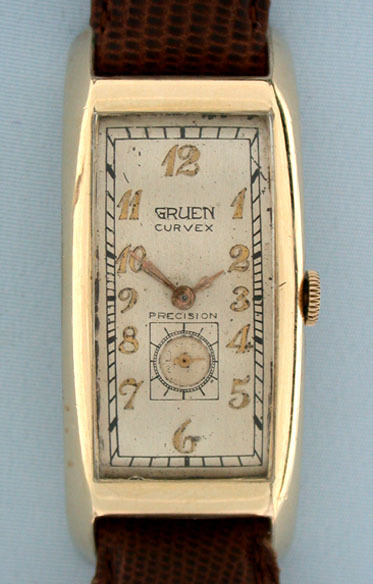 Fine and scarce 51 mm Gruen Curvex reference 292 gold filled vintage wrist watch circa 1935. Original attractively aged dial with applied gold numerals and gold hands. 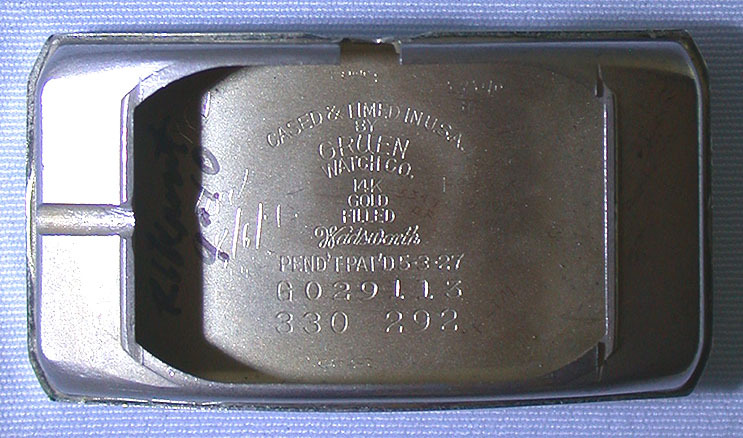 The case with light brassing. 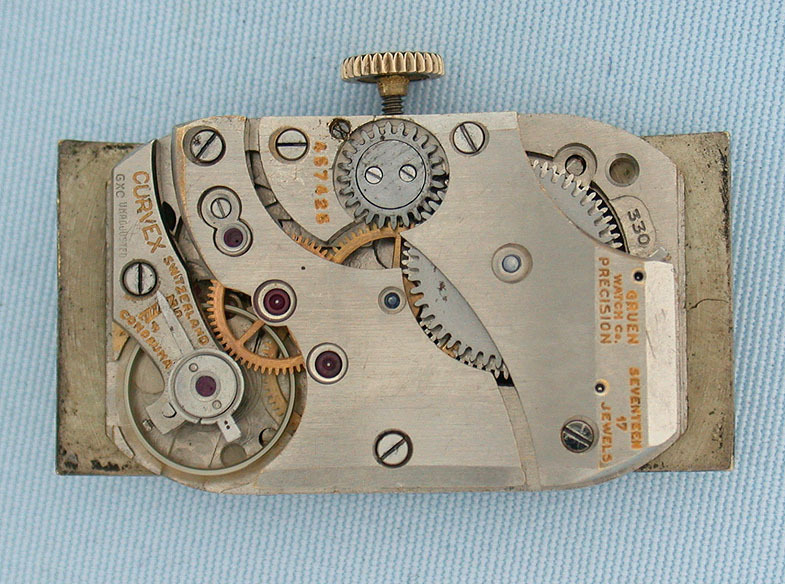 Nickel 17 jewel caliber 330 movement.